This year 2012, I decided to focus on the tools rather than the workflow , I will explain how the software works and how you can get the best of them for your own artwork, illustration or concept-art. I'll also give my best personnal tips and shortcut to accomplish an artwork. I 'll start from the scratch with default setting on a new fresh install to ensure you can replicate the same as home, with the same free tools. Free and open-sources software are mainly designed for Linux. Windows and Apple versions / portage are rarely as good quality of the Linux version, but if you prefer or already use them this way , I'm fine. During the workshop, I'll use Ubuntu 12.04 ( to be more precise , a derivative Linux system Kubuntu 12.04 ). Wacom sponsor will propose for testing new tablets for participant. I guess Intuos 5 series. you wish to try newer model , thats the ideal time. Bring your laptop and your tablet with Krita 2.5, I'll present Krita in details. You'll probably need to redo the movement or try by yourself. Adviced : take something to take notes. During this workshop , you 'll see a path I use to do an artwork with Krita. Note : in 'only' 3h fully commented , the artwork will be simple. I mean don't expect to see the creation of a masterpiece. Bring your laptop and your tablet with Gimp, the G'mic plugin and Mypaint 1.0 ( or ppa if you can), I'll show Mypaint in details and also show best compositing tricks for your artwork with. You'll probably need to redo the movement or try by yourself. Adviced : take something to take notes. No need for this workshop to bring a laptop, even if it's funnier to paint while seeing the progress of the artwork. During this workshop demo , you 'll see a path I use to take the best from all the tools introduced into the past workshops. - Finishing with Gimp and G'mic. Nicolo ZUBBINI and Fracesco SIDDI , both exellent CG artist on the Mango project, will present the 4th open movie of the Blender Foundation : Tears of Steel. The conference will be in Italian and will show cool making-of videos, and how they did it with Blender. I'll be on stage for the humble participation I did on storyboarding and doing concept-art, but I'll probably don't say anythings about 2D to give the focus to the main production tool : Blender. Note : in 'only' 2h fully commented , the artwork will be simple. I mean don't expect to see the creation of a masterpiece. 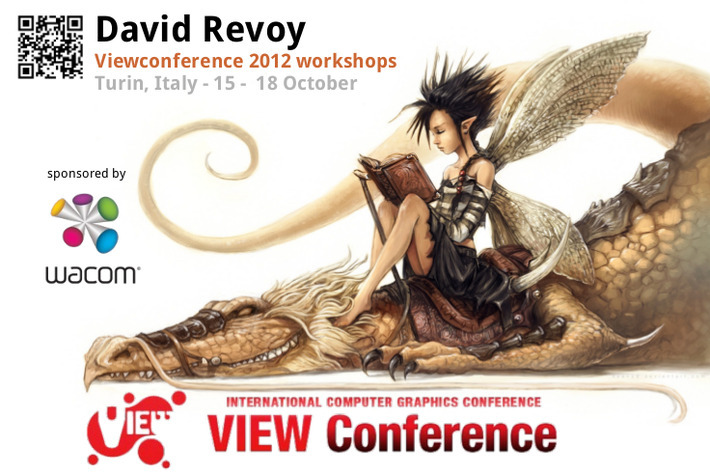 and see you at Viewconference ! Oh my God :O I have had a trouble with my connection and there are duplicate of my comments :(((( I'm so sorry! @QuentinG : :) Haa dommage que je loupe la Bconf ; on se serais fait une mousse. @Anna Lina De Sario : ( no problem Anna, fixed ! ) Good news , and thanks for coming ! I hope I'll be in my best day. I prepare. @Anna Lina De Sario : Btw, its not a trouble with your connection but well with my website protection anti-spam who don't reload correctly. I think I fixed it. I really wish I could afford to fly to Italy for this conference, and I really wish there were more people promoting open-source artistic tools. Keep up the good (honestly, it's great) work. Cool workshop. David, will you post some records or/and notes about it? That's interesting workshops you got there for us aspirants! 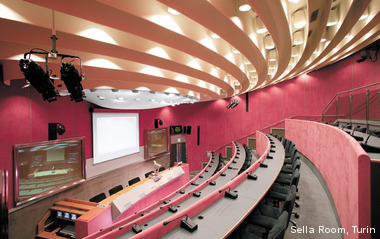 I can't wait for you to have a conference here in the US. The Blender is pretty interesting!